Craig C. McKirgan, D.O. has been with the Center for Orthopaedics & Sports Medicine (COSM) since 1994. He is a board certified orthopaedic surgeon with subspecialty fellowship training in orthopaedic surgery sports medicine. He specializes in general orthopaedics as well as total joint replacement surgery. Dr. McKirgan also provides care for the recreational, interscholastic, intercollegiate and professional sports-related injuries, including arthroscopy of the knee, shoulder, ankle and elbow, with a special interest in anterior cruciate ligament (ACL) reconstruction. Dr. McKirgan earned a Bachelor of Science degree in 1983 from Iowa State University in Ames, Iowa, where he also completed graduate work toward a Master of Science degree in Exercise Physiology. In 1988 Dr. McKirgan graduated from the University of Osteopathic Medicine and Health Sciences medical school in Des Moines, Iowa. In 1993 he completed a four-year orthopaedic surgery residence at Botsford General Hospital, affiliated with Michigan State University in Farmington Hills, Michigan. In July 1994 Dr. McKirgan completed a one-year orthopaedic surgery sports medicine fellowship in Lexington, Kentucky, where he served as the team physician and orthopaedic surgeon for the athletes at Eastern Kentucky University and assisted with the University of Kentucky athletic teams. Dr. McKirgan serves as an Adjunct Professor and Medical Director in the Athletic Training Education Program at Indiana University of Pennsylvania in Indiana, Pennsylvania; Adjunct Clinical Assistant Professor at the Lake Erie College of Osteopathic Medicine, Department Surgery/Orthopedics Erie, Pennsylvania; Adjunct Clinical Assistant Professor at Duquesne University, John G. Rangos, Sr., School of Health Sciences, Department of Nurse Practitioner, Department of Physician Assistant, Pittsburgh, Pennsylvania and Clinical Preceptor for Chatham College, Department of Physician Assistant, Pittsburgh, Pennsylvania. Dr. McKirgan is a member of the American College of Sports Medicine, American Medical Association, American Orthopaedic Society for Sports Medicine, American Osteopathic Academy of Orthopaedics, American Osteopathic Academy of Sports Medicine, American Osteopathic Association, Irish American Orthopaedic Society, National Athletic Trainers Association (Physician Member), Pennsylvania Medical Society, Pennsylvania Orthopedic Society, United States Olympic Committee Sports Medicine Society, and the United States Ski and Snowboard Association (Physician) . 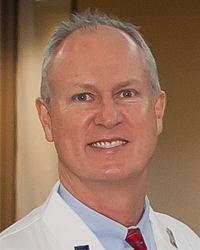 In 1996, Dr. McKirgan served as a member of the Olympic Medical Team in Atlanta, Georgia. He has served the United States Olympic Committee as a volunteer physician at the Olympic Training Center in Colorado Springs, Colorado and was a member of the medical team for Team USA in the 2003 Pan American Games in the Dominican Republic. He travels internationally with the US Men’s Alpine Ski Team as a team physician. He has also lectured in local, state and national meetings on various orthopaedic and sports medicine related topics. Dr. McKirgan serves as a team physician for Indiana University of Pennsylvania (IUP) and area high schools. You can view a pdf of Dr. McKirgan’s Curriculum Vitae here.